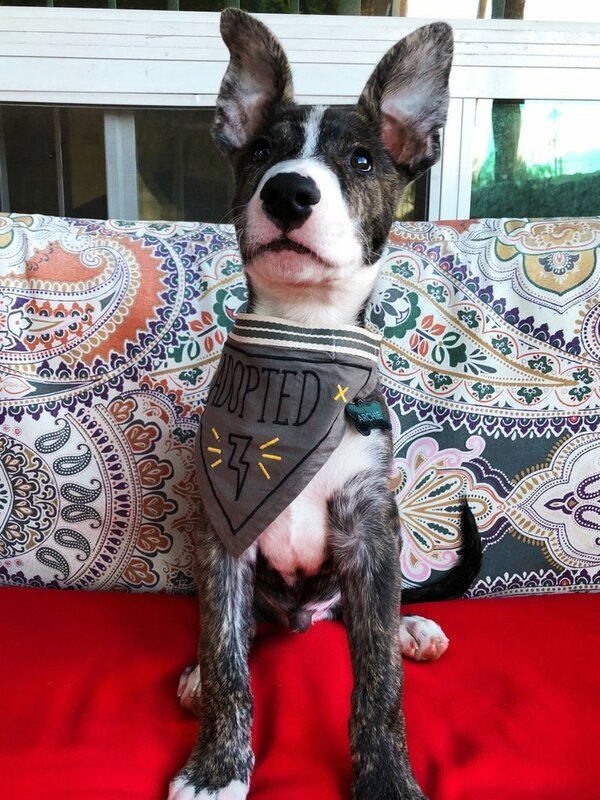 Exactly who rescued who? 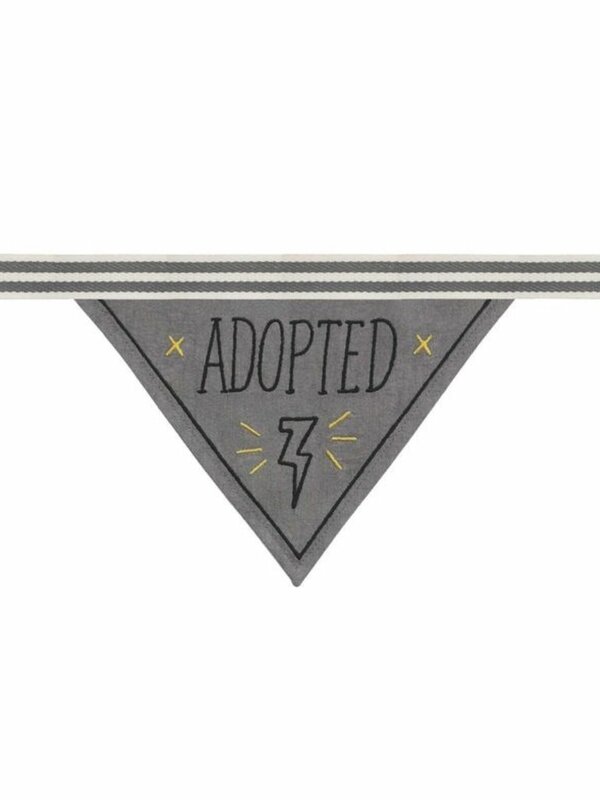 This all-cotton dog bandana is gray and white with black and gold accents. 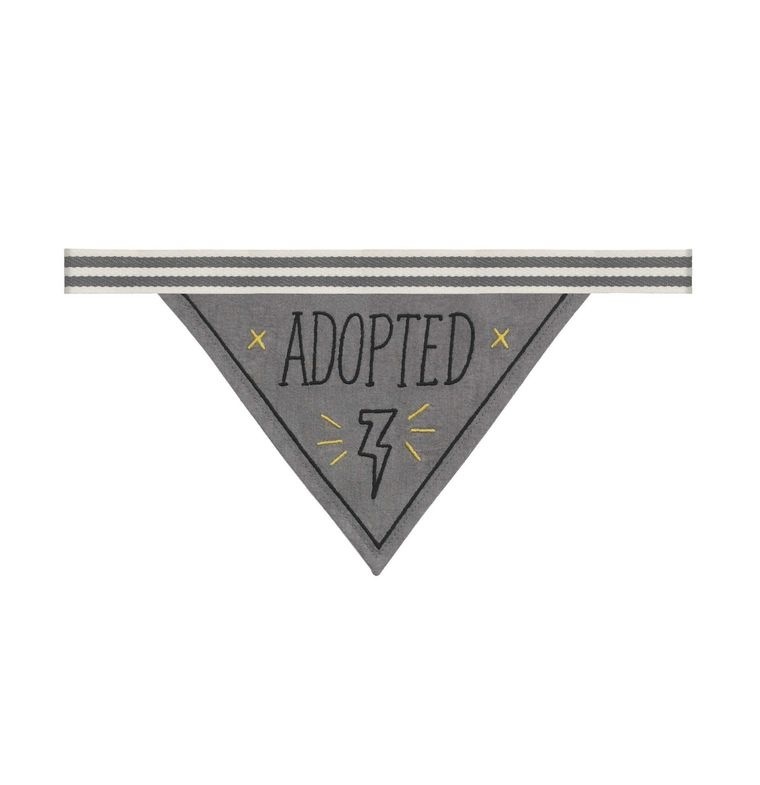 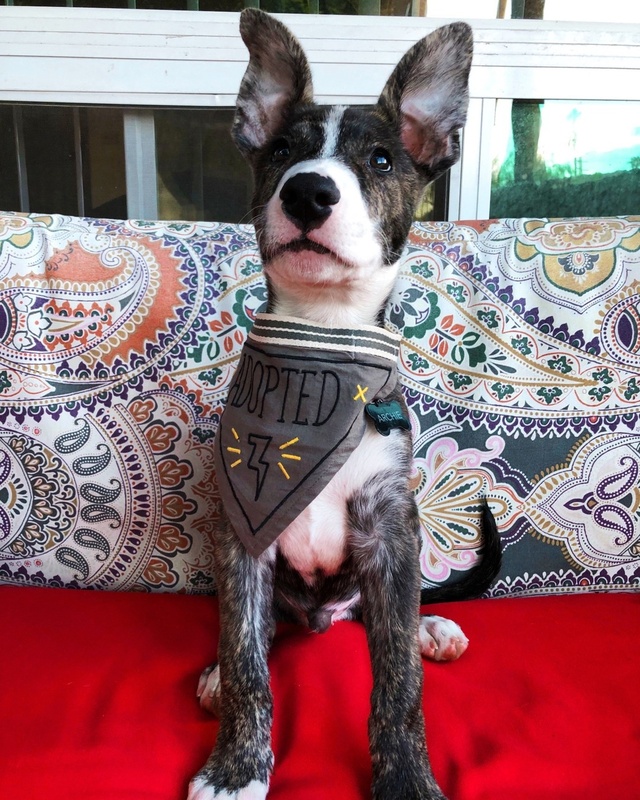 The word "Adopted" is embroidered in black, along with awesome lightning bolt icon.